I needed to bring a dessert to a family BBQ and thought this would be a perfect opportunity to make them. 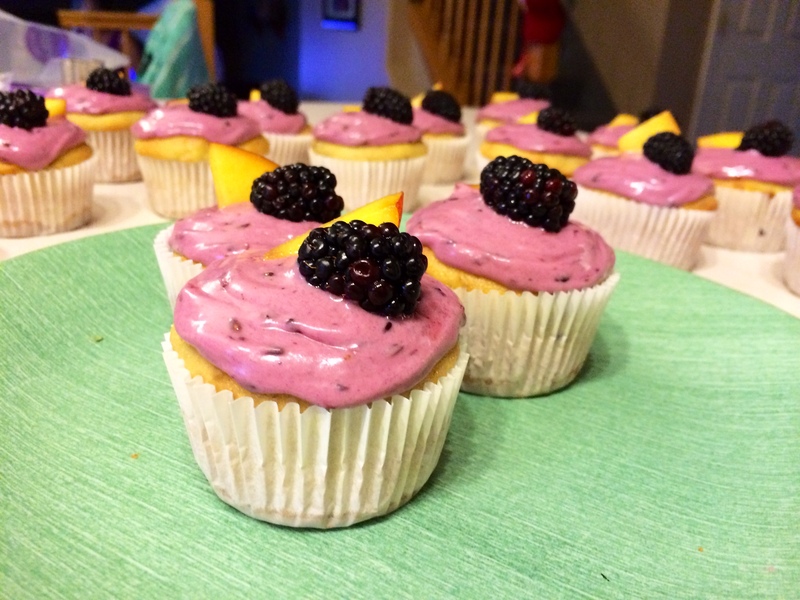 I decided to add blackberries to the mix too. Bobby’s family has great BBQ’s with lots of yummy food and I always feel so welcome. It is nice to be around his big family since my extended family is so far away. It makes me miss them even more. 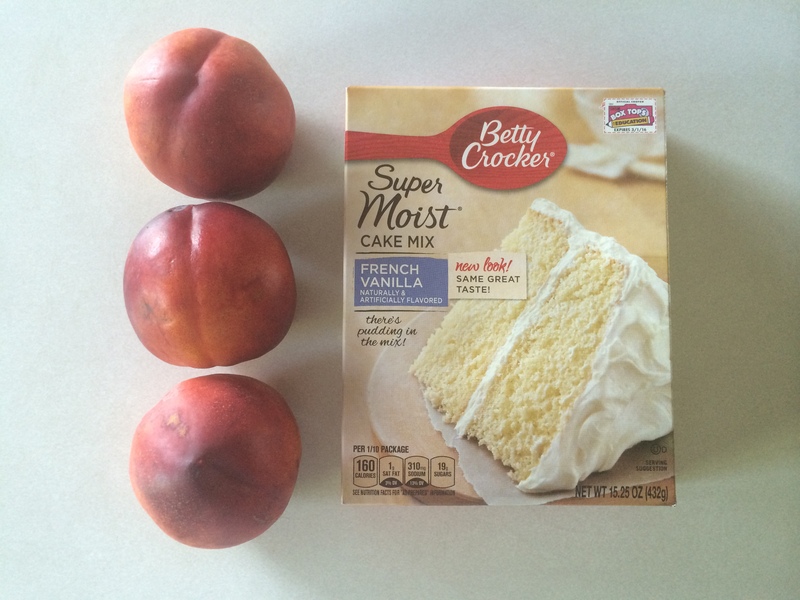 1) I prepared the box cake using peach puree instead of oil. I put 1 large peach in the nutribullet and that gave me more then the 1/2 C. of oil I was replacing. 2) I added the 1/2 C. peach puree into the cake mix, and used only 1/2 C water out of the suggested 1 C, and then the eggs. 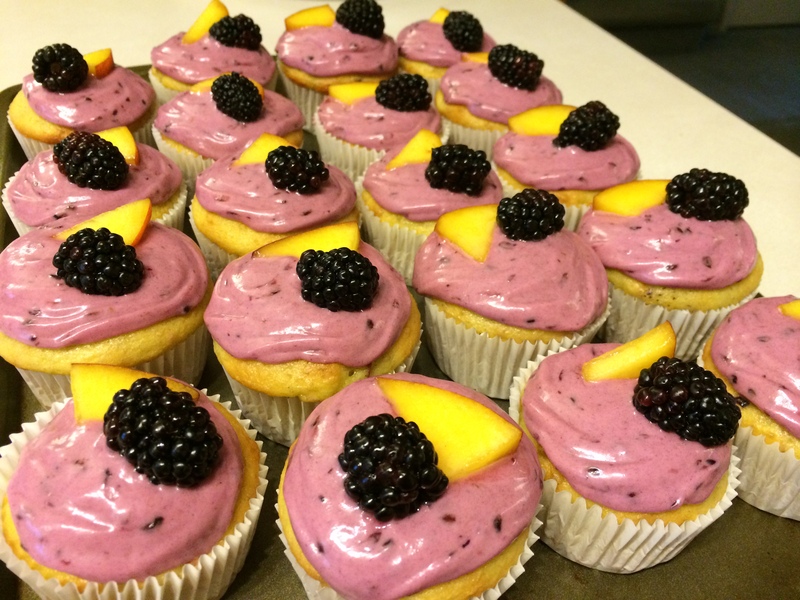 3) I blended this all together, and then folded in chopped up blackberries–about 1/2 C, and chopped up peach–I used one. 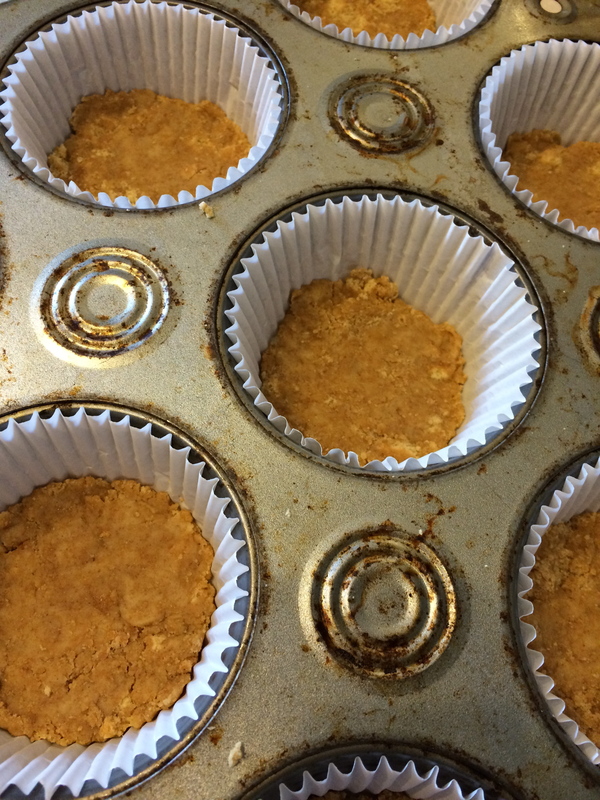 4) If you choose to add the gram-cracker, now is the time to crumble them up. I used plain greek yogurt to make it stick together. 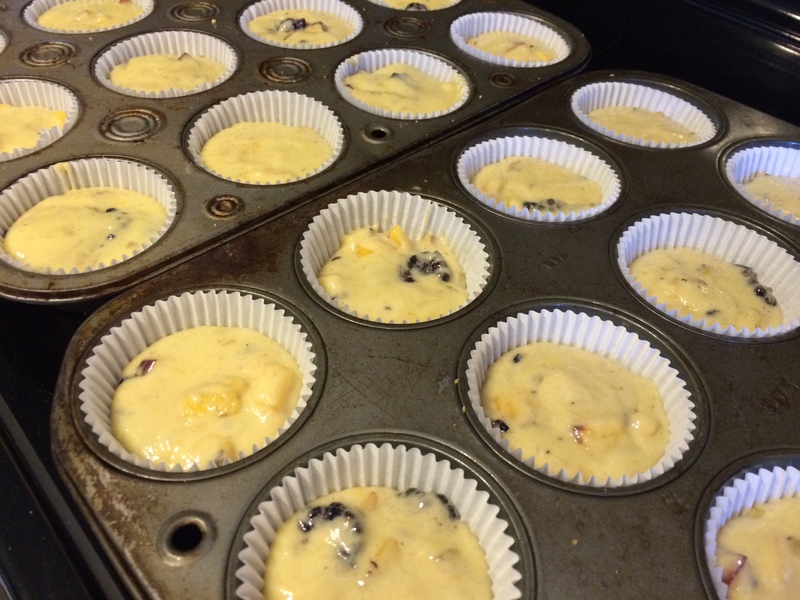 Push into the bottom of the cupcake liners. 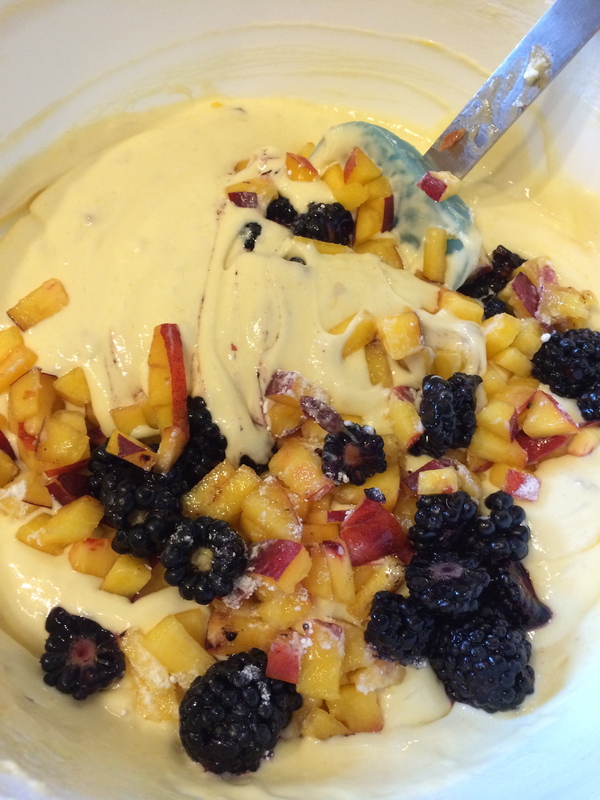 1) I used a fork to smash about 6-7 blackberries and added them into a bowl with the cream cheese. 2) I blended them together and slowly added powder sugar into it reached the consistency I wanted. This frosting was on the runny side but it hardened up in the fridge. I usually hate frosting, but this one I really liked. It complemented the cupcakes perfectly. You can tell in the picture below how it hardened once in the fridge. Also, you can kind of see the gram-cracker crust. 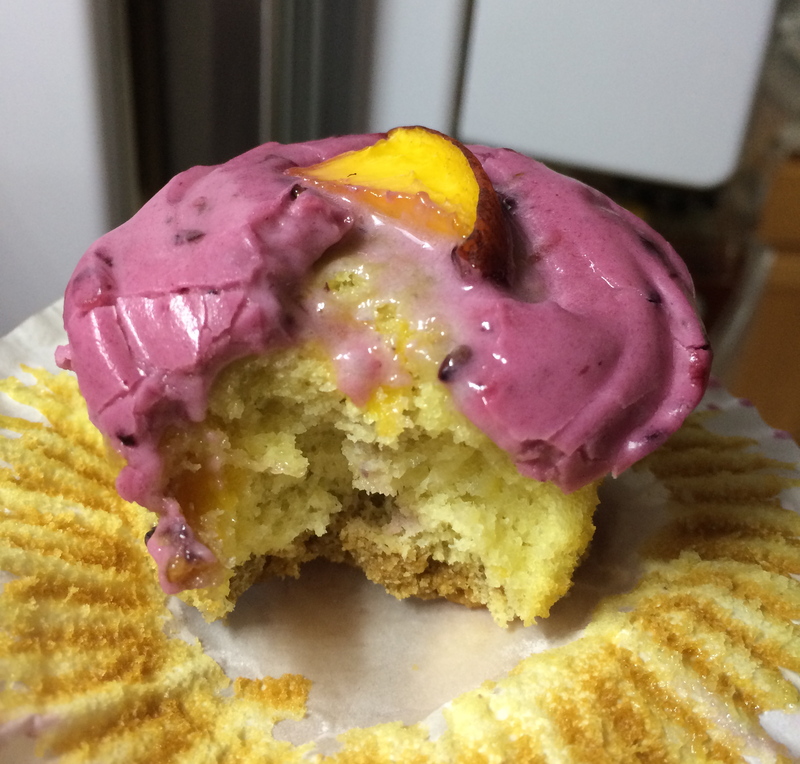 I kept these in the fridge to keep the fruit on top fresh and the icing from melting off.